Founded in 1986, West Valley Search and Rescue is a non-profit, all volunteer search and rescue team. We’re dedicated to saving lives by providing search and rescue operations and wilderness safety education to the citizens of San Bernardino County. 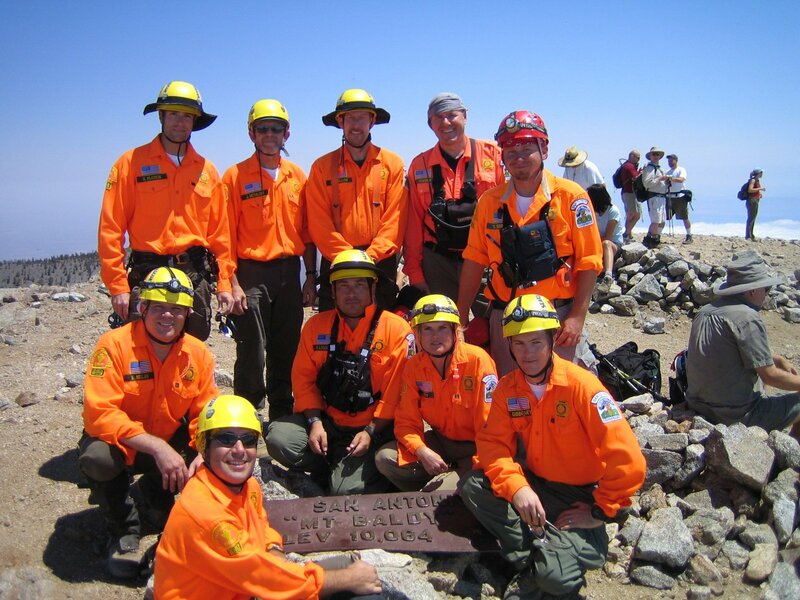 As a fully-accredited member of the Mountain Rescue Association, the team also responds to emergencies throughout California and the United States. It is not unusual for us to be called upon to assist our neighbors in San Diego and Riverside Counties. We also respond to state-wide calls for help. These can bring us as far north as the Yosemite area, or as far south as the Mexican border. West Valley Search and Rescue team consists of approximately 30 highly trained volunteers. They’re each skilled in search and rescue operations including technical rope rescue, alpine travel, search theory, man-tracking, avalanche rescue and wilderness emergency medicine. Our volunteers provide their own personal gear. They donate their time to save lives and serve the community. This team comes from many professions and include teachers, lawyers, engineers, police officers, firefighters, and business owners, just to name a few. We rely almost entirely on private donations and member dues to fund our equipment purchases, training expenses and the costs of our public education program. With the support of local communities, supporters, and team members themselves, West Valley Search and Rescue has been able to maintain the training, equipment, and vehicles necessary to accomplish its mission. Our primary area of responsibility is the westernmost portion of San Bernardino County. This includes a large part of the San Bernardino County mountains. This area encompasses approximately 625 square miles (over half the size of Rhode Island) and contains terrain ranging from the low desert to steep mountain slopes. Due to the vast and varied terrain in our response area, we are fully equipped and trained to respond to search and rescue efforts in mountain, urban and desert areas. Under its SAR Coordinator, the San Bernardino County Sheriff’s Department administers and coordinates all Search and Rescue missions. This Coordinator position is usually filled with someone familiar with search and rescue by having served on a team as a SAR volunteer or a SAR Team Deputy Coordinator. The County also oversees the Inland Empire Search and Rescue Council (IESRC). It’s comprised of a volunteer board made up of members from each of the County’s 21 teams. The San Bernardino County Sheriff understands the need for trained search and rescue professionals, both paid and volunteer. All Deputy SAR Coordinators and Sergeant SAR Coordinators attend classes. These classes are specifically geared toward the management of search and rescue teams. San Bernardino County also provides search and rescue training to all volunteer SAR team members. This training is at the expense of the County. Each search and rescue volunteer must complete a 60-hour Basic Search and Rescue (BSAR) class, and pass both a field and written test. The BSAR class includes introductory level courses in land navigation, tracking, wilderness survival, radio communications, equipment selection and maintenance, and many others. The final exam includes a simulated search and rescue mission where students search for clues leading to a subject or two. Trainees perform basic patient care and carry the subject to a trailhead or landing zone. 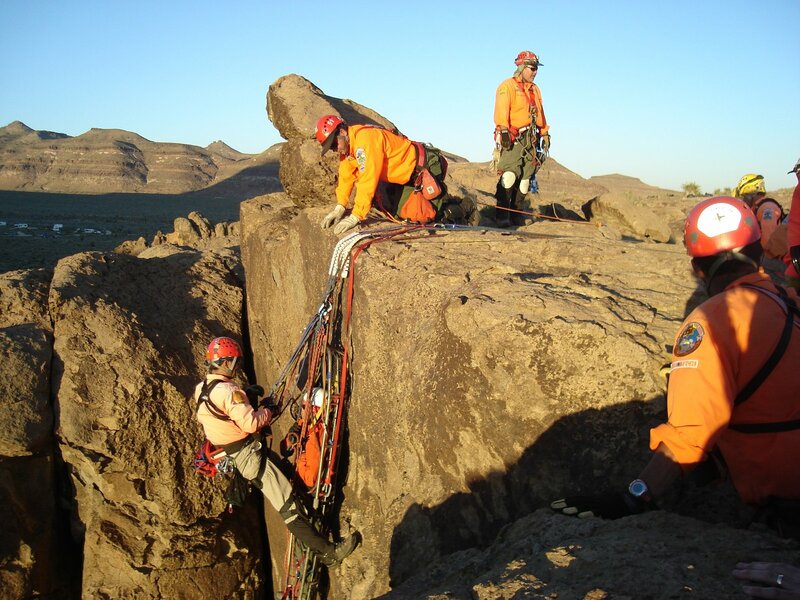 With its extensive training, experience, accreditations, and certifications, West Valley Search and Rescue also provides mutual aid to nearby San Bernardino County teams and other counties in California under the Law Enforcement Mutual Aid Plan – SAR Annex. In the 1920’s the California legislature assigned the duty of wilderness search and rescue to the highest law enforcement official in each county. In San Bernardino County that duty fell to the county sheriff. But for many years there were too few deputies to perform wilderness rescues. Becuase of this, the Sheriff formed units of reserve deputies. These were volunteers who would turn up to assist the sheriff when needed. Search & rescue missions were performed by a specially trained group of patrol deputies. When a call came out, these deputies would leave their normal law enforcement duties. They would rush to those in need in the wilderness area. The group became known as the West End Search & Rescue Team. In 1985, a call went out to the public for citizens to form an all-volunteer search & rescue team. The Sheriff’s Department needed to apply more of its resources to its primary function of law enforcement. It became increasingly difficult to pull deputies from their normal assignments to respond to wilderness emergencies, and the volume of calls did not justify the expense. The men and women who responded to that call became the West Valley Search and Rescue Team. In 1989 the team began to go out into the community to teach wilderness safety. This education was specifically targeted at children. It focused on how to stay safe and what to do if they got lost. Though it is difficult to measure how effective the program has been, the team has not had to rescue a missing child in several years. In 1992, West Valley Search and Rescue began the difficult process of becoming a fully accredited member of the Mountain Rescue Association (MRA). To meet the high standards of the MRA, the team had to pass a series of tests over several months. West Valley Search and Rescue became the first team in San Bernardino County to be accepted into the MRA the following year. In recognition of this outstanding effort, the county named West Valley Search and Rescue “Search & Rescue Team of the Year” in 1993. In 1997, the team was granted 501(c)(3) non-profit status. As the team grew the lack of sufficient funding began to limit the team’s ability to carry out its mission. Achieving non-profit status greatly increased the team’s ability to raise funds. It also allowed them to purchase critical equipment without placing additional burdens on the taxpayers of San Bernardino County. Though donations have increased, so has the job. Today, the team has a reputation for excellence that few would have believed possible in 1985. The team continues to train hard. This is to ensure their mission of providing search and rescue to people in difficulty and to instruct children and adults in mountain safety education. We are grateful to our donors and sponsors who help support West Valley Search and Rescue. Learn about Joining West Valley Search and Rescue. West Valley Search and Rescue is a team of devoted volunteers. We're a 501(c)(3) organization. All donations are tax-deductible.